Christopher O.L.H. Porter has always been fascinated with team issues—how to compose the right type of team and what teams and their leaders do to make them effective. Porter has researched team dynamics within hospital emergency rooms. Observing medical teams as they treat patients, Porter sees medical professional teams with specialized expertise making urgent decisions and leading teams under extreme pressure. I look at this class as an opportunity to really allow students to develop their thinking about leadership. It tends to be a topic people don't think a lot about; they just try to lead. I also see it as an opportunity for students to gain insight into themselves. Within management, Porter’s focus is on organizational behavior and human resource management. With an undergraduate degree in psychology, Porter has also studied criminal justice, working with both federal and local police to examine the management of law enforcement personnel. Porter has recently published research on employee’s and team's achievement goals. 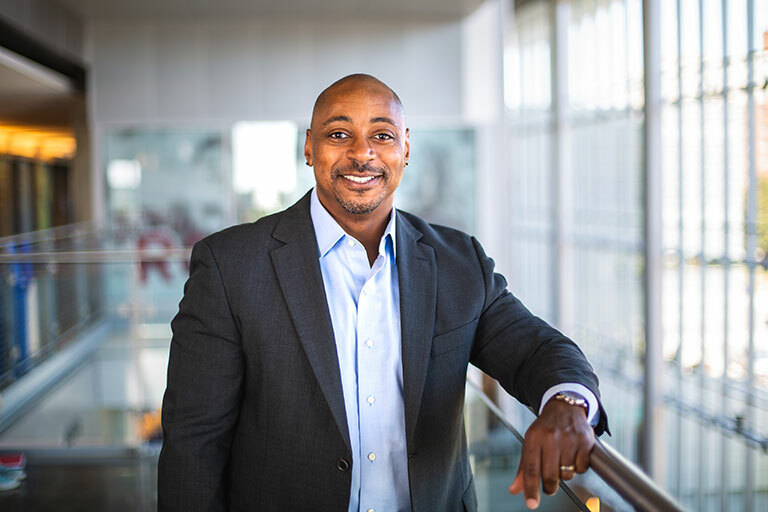 In the past, he's studied the role race plays in assisting members within a team, team adaptability in response to workload imbalance, team resource allocation and backing up behavior. In the classroom, Porter is teaching management lessons.